The army announced today that it is referring Bowe Bergdahl’s case to a general court-martial, the military’s version of a felony criminal trial. Bergdahl will face two charges at the court-martial: desertion and misbehavior before the enemy. The desertion charge is pretty straightforward: it’s for leaving a post “with the intent to avoid hazardous duty or shirk important service.” The misbehavior charge is more unusual. It’s rarely used, but the military can bring it when they want to accuse someone of putting his or her fellow troops in danger. The maximum jail time for the desertion charge is five years; for misbehavior before the enemy, it’s life. For the past few months, Bergdahl’s case has been in somewhat of a legal limbo. 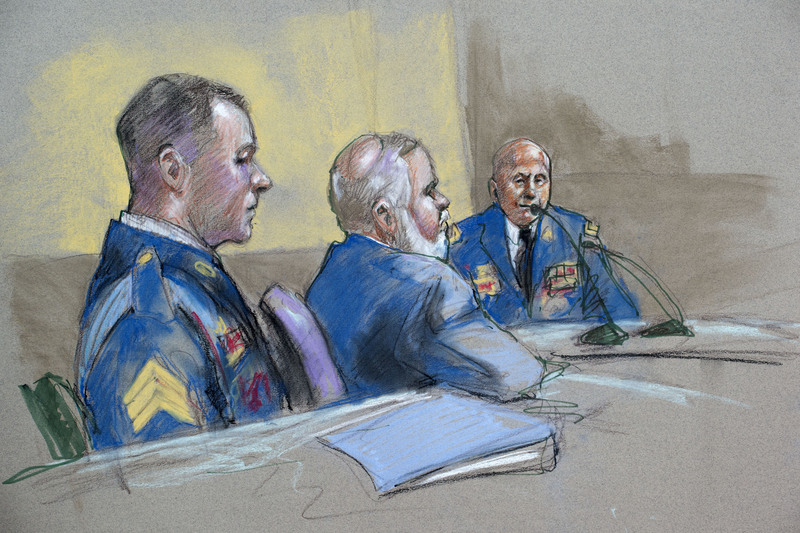 In September, the army conducted what’s called an Article 32 hearing on Bergdahl’s charges—a proceeding similar to a civilian grand jury. At the conclusion of the Article 32, the presiding officer, Lt. Col. Mark Visger, wrote a report for Gen. Robert Abrams, the convening authority in this case, recommending next steps. This report wasn’t made public, but a memo from Bergdahl’s defense team responding to the report suggested that Visger’s recommendation was for the case not to go to general court-martial, but to a special court-martial instead. The difference is significant: A special court-martial is sort of like a misdemeanor court, where more minor cases are resolved. The maximum jail time a person can receive at a special court-martial is one year, and a special court-martial cannot give a dishonorable discharge. However it is now clear that Gen. Abrams has decided to send both charges—desertion and misbehavior before the enemy—to a general court-martial. Bergdahl’s case will be arraigned at Fort Bragg, North Carolina, which is where U.S. Army Forces Command is headquartered. The army has not yet announced a date. Updated Dec. 14, 2015: An earlier version of this post stated that Gen. Robert Abrams had not made a decision on the recommendation coming from the Article 32 hearing. This has been updated to reflect the news, which broke Monday afternoon, that the army has ordered Bergdahl to face a general court-martial.